Why Is It So Hard To Find An Inexpensive Pediatric Dentist? Nobody wants a cavity: they’re painful, costly, and can easily become dangerous to one’s health. 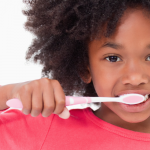 Why, then, is there such a prevalence of cavities in children aged 2-11? 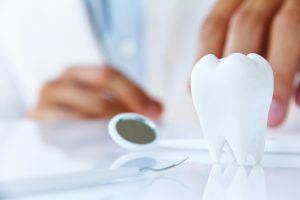 The National Institute of Dental and Craniofacial Health (NIDCR), run by the National Institute of Health, published the results of the most recent National Health and Nutrition Examination Survey. The least expensive foods tend to be overly processed, high in sugars and simple carbs. It can be very difficult for anyone to find an inexpensive pediatric dentist, let alone someone with lesser resources like the children from these families. 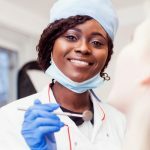 To many people, especially those who did not grow up being educated about dental care, it might not seem that important to find a pediatric dentist early on. Even though there is much more information available these days on why you should take your child to the dentist before he/she is 2 years old, people rarely do. This explains why, according to the NIDCR, 42% of children aged 2-11 have dental cavities in their baby (primary) teeth. Only 21% of children aged 6-11 had cavities in their adult (permanent) teeth. Both groups had unmet needs: 23% of the 2-11 year-olds, and 8% of the 6-11 year-olds had untreated cavities. Untreated cavities can only be chalked up to people searching “cheap dentist near me” and coming up dry. It’s just that difficult to find an inexpensive pediatric dentist in most places. But there’s hope! Penn Dental Medicine charges significantly less than a private practitioner. Roughly half of the cost is absorbed by the University, making affordable pediatric care accessible to all demographics. Payment plans take off the burden of paying a lump sum. 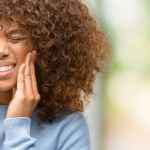 Since Penn Dental Medicine knows that monthly budgets can get tight, or other emergencies could crop up at any time, we’ve made it easier with payment plans available on a sliding scale. The last obstacle on the road to providing inexpensive pediatric dentistry for everyone is that of pediatric dentistry being seen as ‘unimportant’ before the age of 6. That view is reflected in the above statistics, and in the minds of many Americans. Perhaps it’s because baby teeth eventually fall out that they are seen as unimportant. 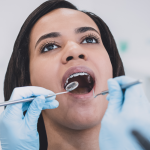 However, any infection caused by cavities could have dangerous fallout on the child’s overall health, their permanent teeth, or even their brain. On top of that, cavities cause pain! Skip the drama and the danger; choose Penn Dental Medicine. It’s not too late, and it’s never too early!